Difficult issues regarding family matters or domestic relations often necessitate professional legal counsel. The Milwaukee family law attorneys of The Fields Group bring a compassionate perspective to these cases, yet will aggressively litigate on your behalf when necessary. When family problems require a legal solution, The Fields Group Law Firm is just who you need. We are widely experienced in all manner of disputes regarding marriage, domestic partnerships and civil unions. Our Milwaukee attorneys are skilled in drafting prenuptial and postnuptial agreements. We understand emotions can run high because these issues can be deeply personal – so you want a family law specialist who will give you the calm assurance and expert legal help to restore your peace of mind. At The Fields Group, our attorneys have an excellent reputation for effectively dealing with all matters pertaining to divorce and legal separation in Wisconsin. We will provide you with powerful legal representation in child custody disputes, child placement issues, and establishment of child support orders. We know the system and provide the expert legal counsel needed to protect your rights and the well-being of your children. Dealing with divorce and its economic and social consequences is extremely hard on both couples and families. Whether you and your spouse come to the table amicably or not, The Fields Group believes the best resolution to a divorce proceeding is one in which both parties can put aside their differences and work together toward reasonable solutions. We will do everything possible to assist you in reaching such solutions. Whatever the nature of your family law problem, you can count on The Fields Group to help you over all the legal hurdles and work to resolve the matter to your satisfaction. Family situations can become extremely complicated. Actions have deep and lasting consequences. 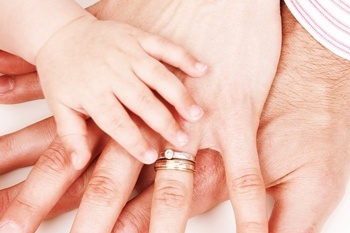 Matters such as establishing parental rights through acknowledgment of paternity require a family law attorney who is both compassionate and determined. The Fields Group strives to minimize unnecessary conflict, cost and court time through a common-sense approach to problems. Our Milwaukee divorce attorneys are committed to dealing effectively and sensitively with marriage conflicts and family disputes. Marriage and family issues are unfortunately commonplace today, and Family Court dockets are often the most crowded. Our Milwaukee family law attorneys provide the representation your family needs, along with a caring approach to restore your peace of mind and confidence. When you need legal advice for family disputes, call The Fields Group – our excellent legal counsel has decades of experience and we bring care and integrity to every case. Call Family Law Attorney Jill Campo for a FREE CONSULTATION about your particular situation! Contact Milwaukee Family Law Attorney Jill Campo today on this website for a free initial consultation to begin legally resolving your family law situation, or call (414) 763-3200.